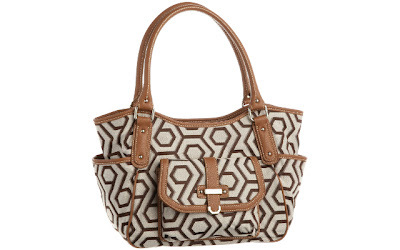 The Nine West Hexagon 9S Jacquard Large Satchel is currently selling for just $42.47 on Amazon.com! You will be saving 50% off the listed price of $85.00 with this handbag deal. 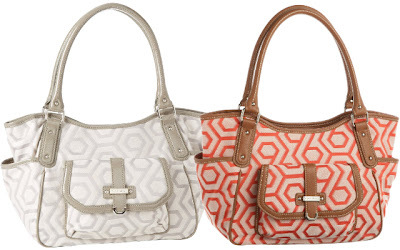 This Nine West bag is available right now in Grey/Dove, Tangelo/Cognac, and Khaki/Cognac for this great price. Approximately 5.2" x 16" x 10"